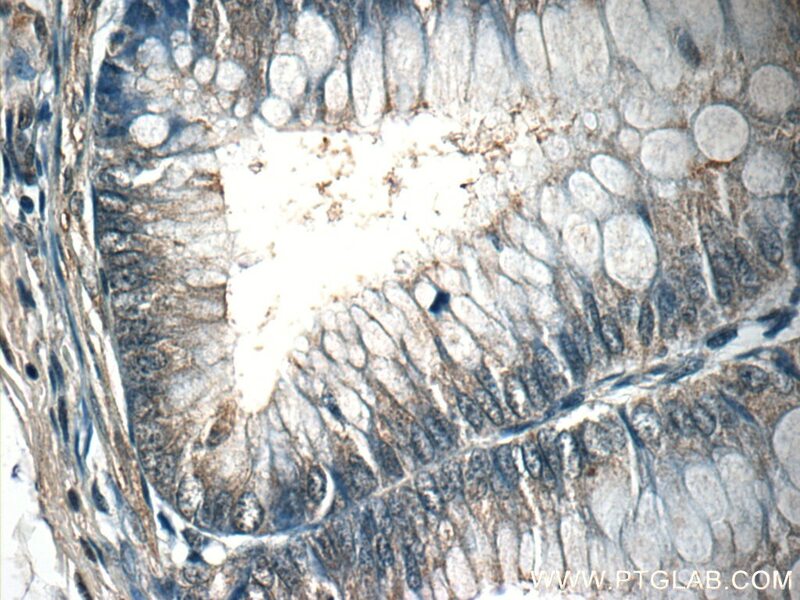 Immunohistochemical analysis of paraffin-embedded human colon tissue slide using 17526-1-AP( ACADL-Specific Antibody) at dilution of 1:200 (under 10x lens). 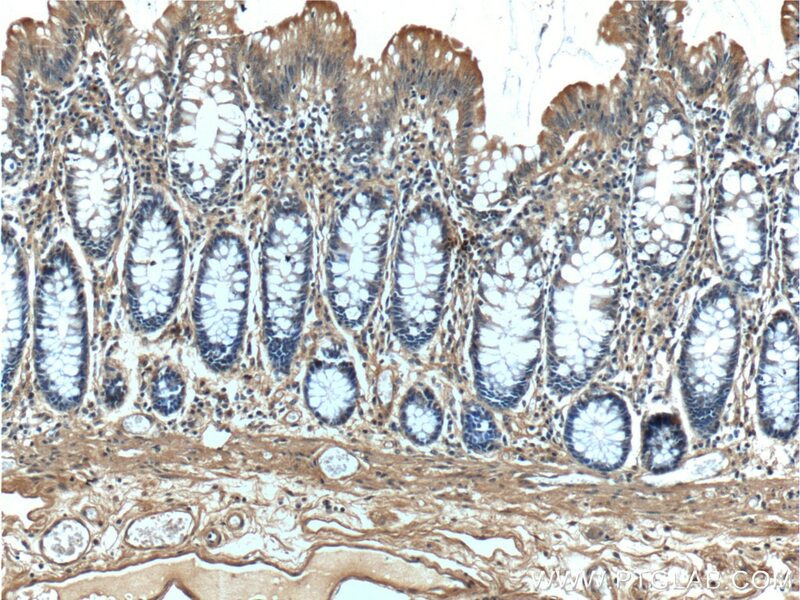 Immunohistochemical analysis of paraffin-embedded human colon tissue slide using 17526-1-AP( ACADL-Specific Antibody) at dilution of 1:200 (under 40x lens). ACADL(Long-chain specific acyl-CoA dehydrogenase, mitochondrial) is also named as LCAD and belongs to the acyl-CoA dehydrogenase family.It catalyzes the first reaction of the mitochondrial β-oxidation of fatty acids and is synthesized in the cytosol as a precursor that is larger than its mature from. 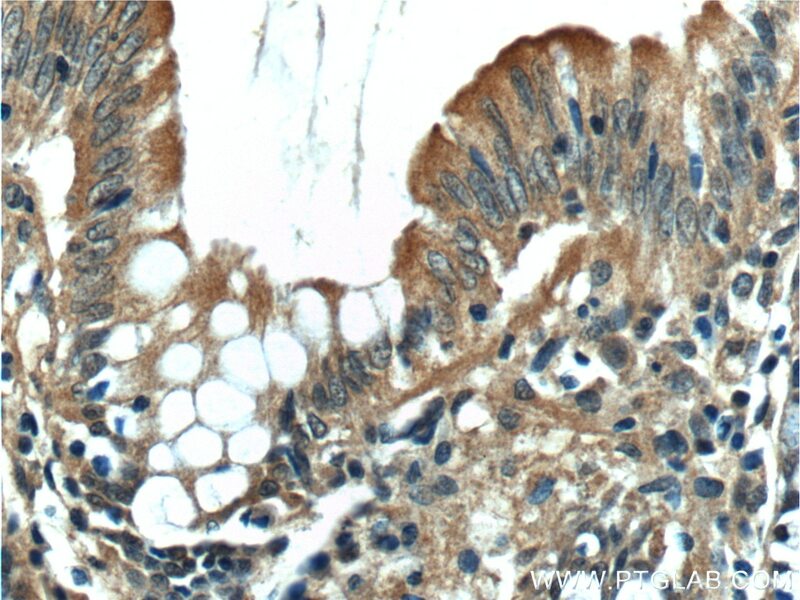 The size difference between the precursor and mature rat LCAD has been estimated to be 3 kDa on the basis of SDS-PAGE(PMID:1774065).Defects in ACADL are a cause of acyl-CoA dehydrogenase very long-chain deficiency (ACADVLD).This antibody is specific to ACADL. Pivotal Role of O-GlcNAc Modification in Cold-Induced Thermogenesis by Brown Adipose Tissue Through Mitochondrial Biogenesis. Hepatic overproduction of 13-HODE due to ALOX15 upregulation contributes to alcohol-induced liver injury in mice. 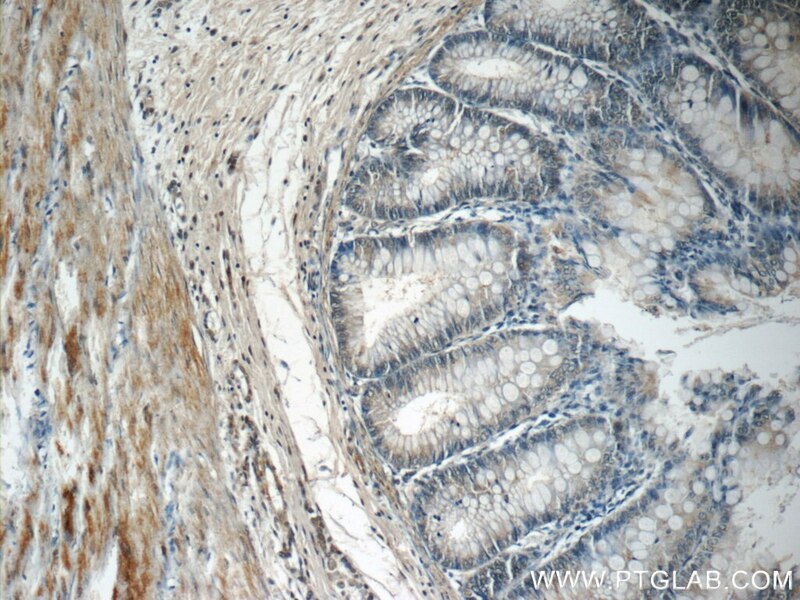 Identification of SPOP related metabolic pathways in prostate cancer.